Doki Technologies has announced it is set to release the second generation of its kids smartwatch, the dokiWatch S.
The watch, which is aimed at children aged 6-12, joins the long list of connected tech making use of Amazon's Alexa voice assistant, harnessing her capabilities to power its dokiAsk feature. This, of course, allows users to ask all the same questions they would typically ask an Echo, for example, but from the wrist instead. The company launched its first dokiWatch after raising over $400,000 through Kickstarter and Indiegogo back in 2016, with the original able to handle video and voice calling, messaging, location monitoring and fitness tracking. The new dokiWatch S is able to match all of that, while also giving parents a scheduler to help manage their child's daily bedtime, activities, classes. The Photo Gallery lets kids save their photos and selfies, too, and video calling has been improved for the new watch. 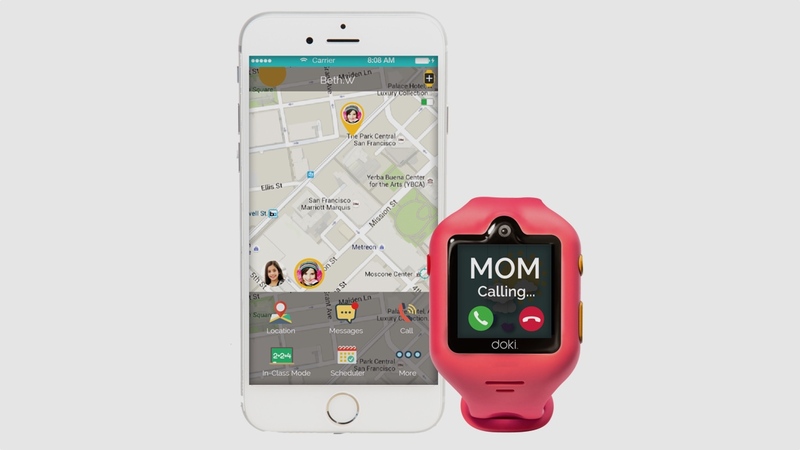 Previously, only parents could initiate video calls, but now kids will be able to call their parents directly from the watch. DokiWatch S has been available to pre-order since November, with the company indicating that shipping will roll out throughout January to 30 countries. However, if you're a parent that wants to take advantage of the calling capabilities and messaging, you'll need to make sure you're on a network plan. This varies depending on which version of the watch you opt for and which country you're looking to use the device in, though is all detailed on the Doki website for those looking to find out more. First off, great watch. It does what it says it will do and is quite the novelty once we got it set up. However the charging mechanism needs serious attention. I like the magnetic clasp similar to Mac products but the charging cord is very cheaply made and fell apart almost immediately. The cover came off leaving the wires exposed followed by the wires disconnecting altogether. Care was taken to charge the watch before the wires disconnected (disappointed child as you can imagine when the watch died). I would like the Doki designers to address the temperamental and finicky placement of the charger on the watch as it stops charging if not positioned just right on the watch. We learned to lay the watch face down to allow the charger to rest on the back, that helped, but as I mentioned above the difficulty charging coupled with charger falling apart is of concern. Bought this for my son last month. Tracking is slightly off point but overall it’s been pretty good for tracking my kid going and coming back from school. Video call works well too.